New Delhi, January 31: Deposit 10 Cr with the registry if you want to travel abroad said Supreme Court to Kari Chidambaram, son of former Union Minister P Chidambaram. Karti is facing criminal cases which are being investigated by the ED and the CBI in relation to alleged money laundering in Aircel-Maxis, INX deals. While granting him bail last year, the Court had restrained him from leaving country except with Court's permission. Read This - 'Some Discipline Has To Be Maintained As To The Prayers In PILs': SC Dismisses Plea Against Rakesh Asthana Now, he has filed an application seeking permission to travel to France, Spain, Germany and the United Kingdom for the next few months for international tennis tournaments organised by a company called 'Totus Tennis Ltd' having its registered office in the UK. On Monday, the Court had directed the ED to inform the dates on which it require Karti for interrogation. On Wednesday, the bench headed by CJI told Karti " Don't play around with law" and asked him to appear before ED on March 5,6,7 and 12 for interrogation. On September 18 last year it had allowed Karti to travel to the UK from September 20-30. 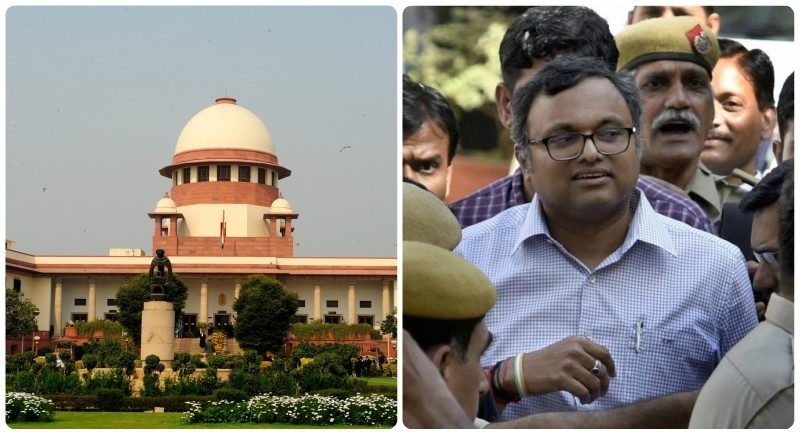 The ED had said that Karti, who is also facing proceedings in cases like Aircel-Maxis and money laundering matters, has been "blatantly misusing" the liberty granted by court in allowing him to travel abroad and has been using the same to protract the investigation in the case. The bench was hearing Karti's plea seeking permission to travel to France, Spain, Germany and the United Kingdom for the next few months for international tennis tournaments. Karti had sought permission to travel abroad from February 10 to 26 and again from March 23 to 31.